Why Trade AEX ‏(NETH25) with XM? At XM we offer AEX ‏(NETH25) as a cash CFD. 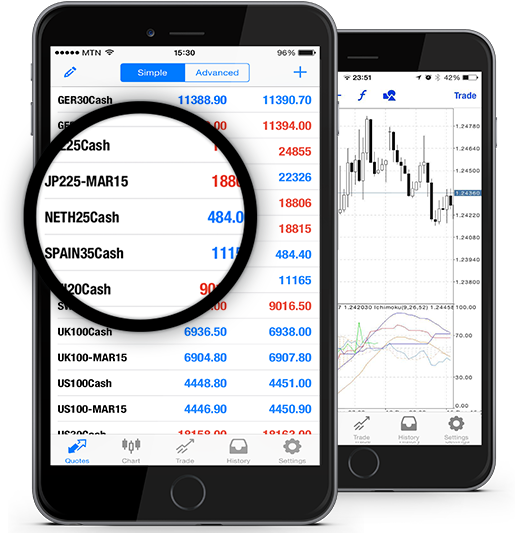 Our cash CFDs are undated transactions that aim to replicate the cash price of the underlying instrument, and so they are adjusted for interest. The AEX (NETH25), which stands for Amsterdam Exchange Index, is a stock market index composed of the 25 most actively traded securities on the Euronext Amsterdam stock exchange. Ever since it was started in 1983, the AEX (NETH25) has been one of the leading national indices of the pan-European stock exchange group Euronext. As a market-value-weighted index, the AEX (NETH25) is reviewed four times a year, with a full annual review every March, and its index weights are calculated by taking into account the closing prices of the relevant companies on 1st May. During the interim reviews in June, September and December each year, no adjustments are applied to the AEX (NETH25) unless any of its constituent companies have been removed from its listing or a still non-constituent company has a share turnover ranked 15th, or above, over the previous 12 months. How to Start Trading AEX ‏(NETH25)? Double-click on AEX ‏(NETH25) from the “Market Watch” to open an order for this instrument.